Spectrum has entered into a cooperation agreement with Schlumberger, the world's leading provider of oilfield services to the upstream E&P industry, to jointly acquire and process Spectrum's offshore Mexico Campeche-Yucatan 2D regional Multi-Client program. 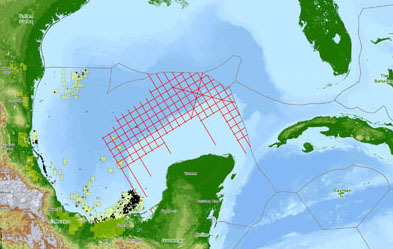 The cooperation agreement includes more than 44,000 km of regional 2D seismic data in the new frontier Campeche/Yucatan area. The new 2D regional program provides a seamless tie to Spectrum's Big Wave Multi-Client program in the northern and eastern areas in the US section of the Gulf of Mexico. The long offset 2D survey was designed to best illuminate the complex structures located in the deep water area, including both pre-salt and post-salt plays. Richie Miller, EVP Multi-Client North & South America, comments: " Spectrum is pleased to have the opportunity to collaborate with Schlumberger on this unique program, which leverages both Spectrum's expertise with 2D regional programs worldwide and Schlumberger's extensive geological and geophysical knowledge. Schlumberger has been continuously present in Mexico, supporting the industry for a broad range of services, since the late 1930s. We believe that the Mexico Campeche-Yucatan 2D regional program will reveal exciting new exploration opportunities, given its location adjacent to the highly productive and prospective areas in the US section of the Gulf of Mexico and prolific areas in Mexico to the southwest."